Mya has been tested a lot lately. We had chili right before Thanksgiving. Mya loves chili. 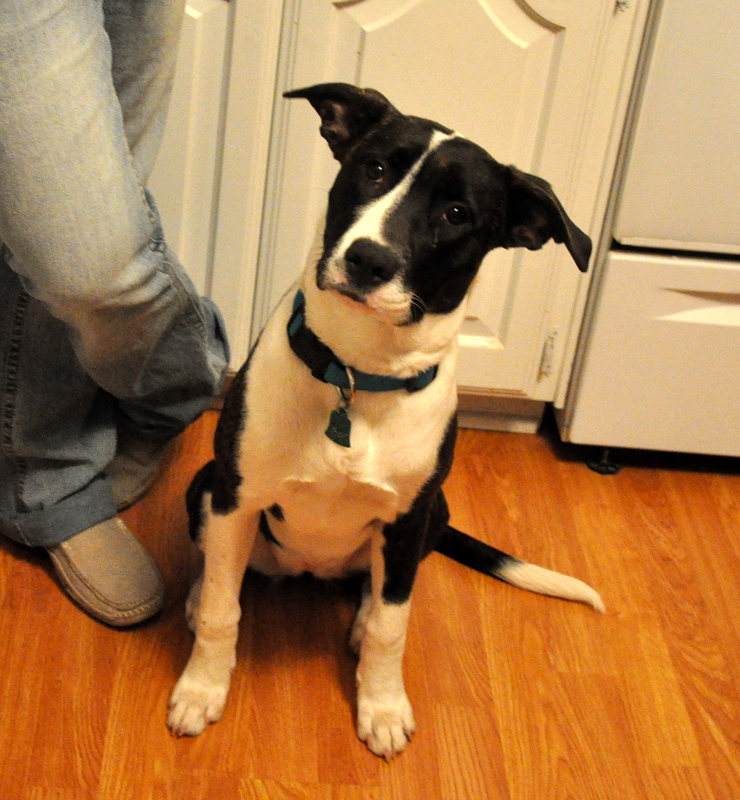 She waited oh so patiently just in case some chili might fall on the floor. It helps to touch the person who is eating so they won’t forget you are there. I think that’s her strategy anyway. 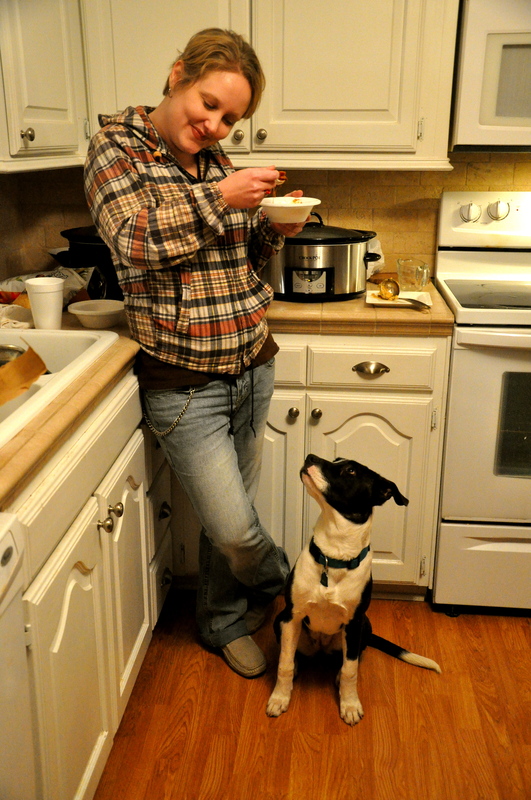 I’m calling this one … Dog Waiting For Chili. 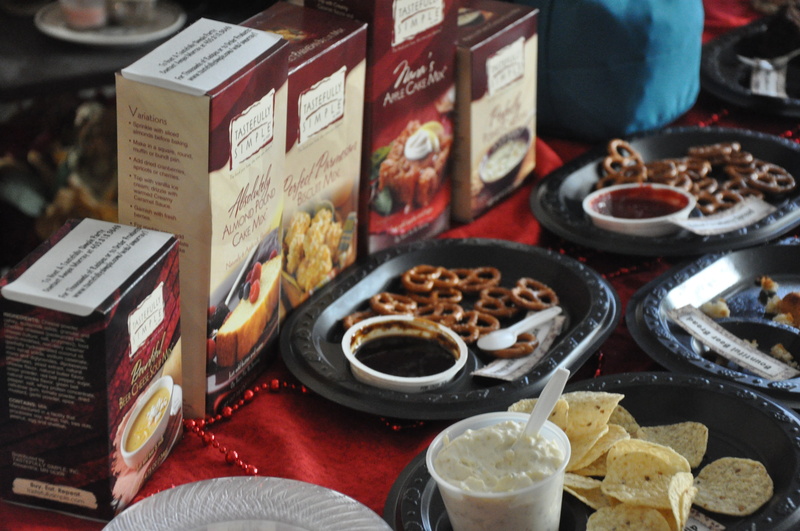 Then before Christmas we hosted a Tastefully Simple Party. It’s like a Tupperware party, but it’s for food. 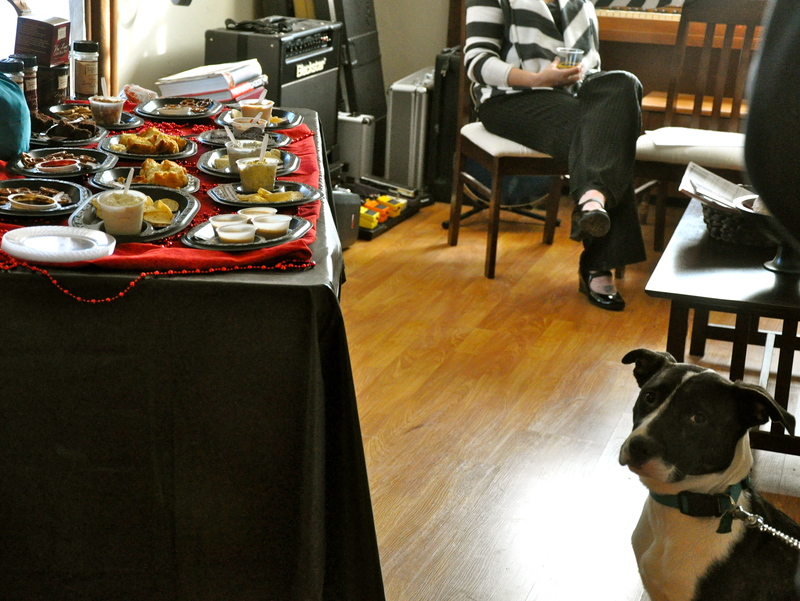 My friend Angee has these parties and she came in and whipped up a bunch of dips, breads and cakes. There was a big spread of food. And, there was one guest who was particularly interested in the products that were offered. I’m pretty sure it was Mya who ordered all beer bread and chocolate cake. Mya is a good dog to have survived the Chilli tasting. She is quite patient.